Originally known for their well priced kitsch jewellery, Young Forever have now turned their focus towards a new direction; clothing. 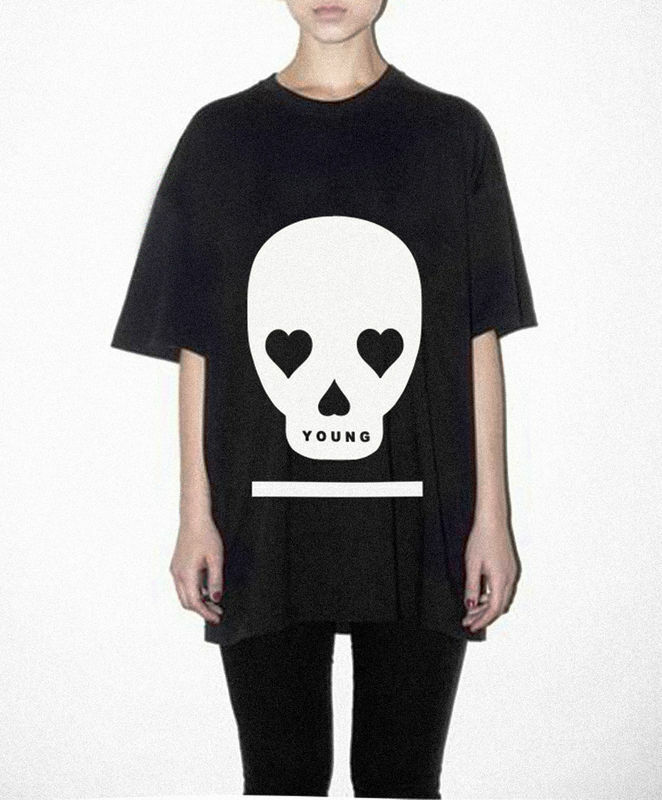 Simple and unisex in design, these cool tees display a range of prints available both in black and white. The key aspect of this collection is simplicity, and the pieces are to be worn oversized as simple silhouettes with skinny jeans - perfect. these tees are so rad.